The day after Thanksgiving, after an overnight shopping spree, we were in need of a Black Friday breakfast to refuel, so we stopped at Fuzzy’s Pub & Grill in Waukesha. 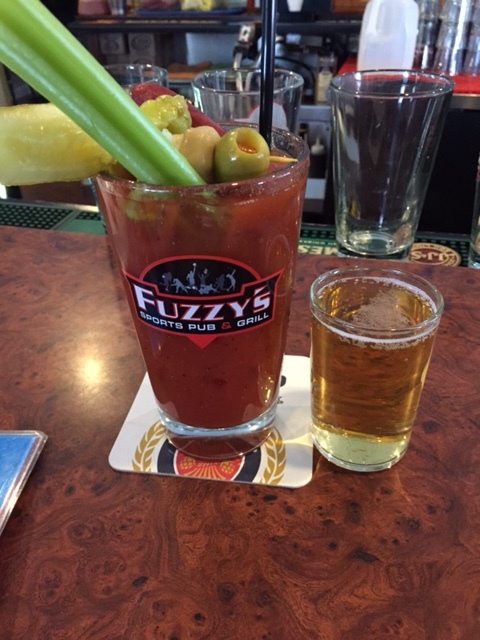 We’re happy to report that Fuzzy’s filled us up with both a delicious omelette and doubly delicious bloody mary! I had never been to Fuzzy’s before, so I was pleasantly surprised at my overall experience. If I lived closer, I would definitely come here more often! Next time you’re in Waukesha, be sure to check them out!